Stainless Steel Perth is a West Australian sheet metal fabrication company specialising in the fabrication of custom Stainless Steel and Aluminum products. We offer a broad spectrum of products and services in Perth for alfresco kitchens, domestic kitchens, commercial kitchens, balustrade, marine products and all types of general sheet metal fabrications. Whatever services you need, we can provide them for you. No project is too big or too small. Our services are fully scalable to meet your needs. Working with materials such as stainless steel, aluminium, Colorbond and galvanised steel, our sheet metal fabrication capabilities include bending, cutting, plasma, rolling, punching and welding. If you’re remodelling your kitchen, upgrading, or you need top quality metal fabrications, talk to us about our custom build services. We can provide any type of commercial kitchen fabrication services you need, including modernisation, designer builds, and practical solutions to onsite issues, visit our commercial kitchens page. 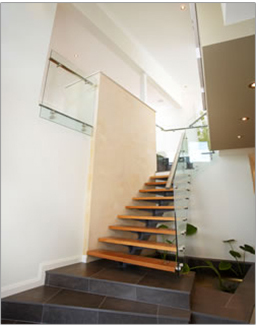 We offer a large range of design choices for modern balustrades and handrails. Our balustrades are ideal for all kinds in any workplace, commercial spaces or residential environments and our design and fabrication services are fully scalable to any size premises. Stainless Steel Perth builds and designs custom alfresco kitchens. Our outdoor kitchens include a wide range of design features, cabinets, and state of the art features for modern homes. Our home kitchen products and splashbacks are custom-made to suit your needs. We can provide the perfect design solution for any home environment, with the fabulous clean look of modern steel and the latest designer standards of excellence. If you’re doing a big renovation or just want to upgrade your kitchen, we're your one-stop shop for any home kitchen work. If you’d like some professional help and advice, contact us for friendly, efficient service. We’re happy to assist, provide onsite expertise, and create the perfect design solution for your needs. You can contact us online using our form or give us a call on (08) 9249 7011 to talk to one of our representatives. Remember to ask us about our free no-obligation quotes, too!